Use the distributive property to re-write the quadratic equation in standard form. Type the correct coefficients into the appropriate text box and click elsewhere or press enter to check your answer. If all three coefficients are correct, you will see a green check mark. The red circle saying Try Again will appear until you have successfully entered all three coefficients correctly. 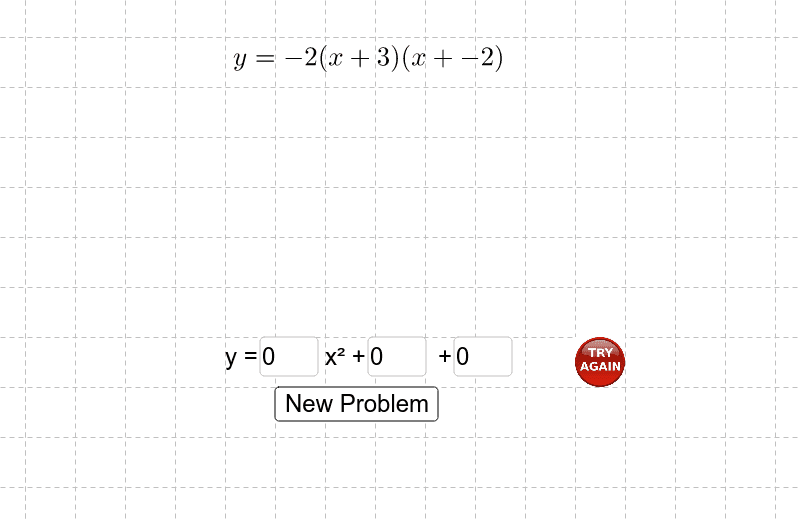 Click on the New Problem button to try another problem.